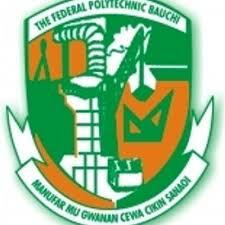 The Federal Polytechnic Bauchi Runs Affiliate/Partners with Ahmadu Bello University, Zaria [ABU Zaria] Over Five Degree Programmes Namely: Mass Comm, Accountancy, Pub Admin, Bus Admin and Management, and Statistics. Speaking during the exit interview, leader of the assessment team Prof. Sa'ad A. Ahmed express delight over what he described as the Polytechnic's huge investment in staff and library development, infrastructural and sports facilities as well as ICT and urged the management of the institution to maintain the spirit. Prof. Sa'ad Ahmed who is also the Deputy Director Academic Planning of ABU Zaria, said based on their assessment, the Polytechnic has all the necessary requirements for kick-starting BSc programmes even as he pointed some places that need to be put to shape.